Greetings, Voyagers! 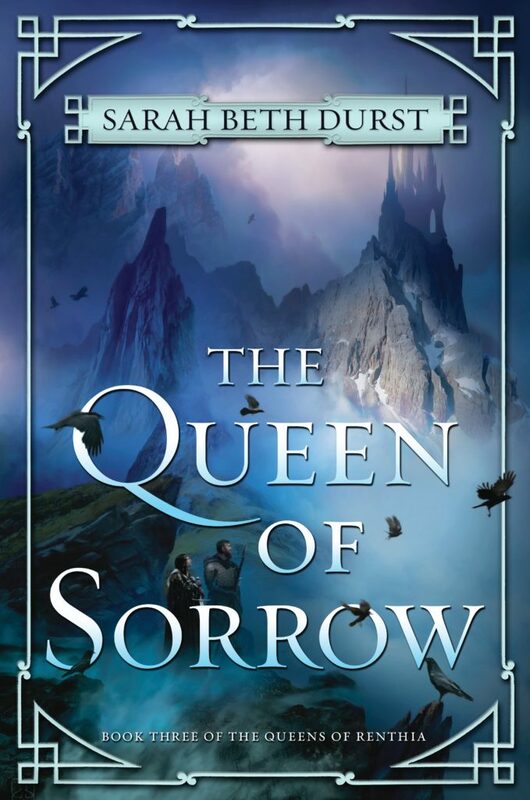 We’re so excited to share the gorgeous cover of Sarah Beth Durst’s THE QUEEN OF SORROW, which goes on sale on May 15, 2018, and concludes her high fantasy Queens of Renthia trilogy. In THE QUEEN OF SORROW, Queen Daleina has yearned to bring peace and prosperity to her beloved forest home—a hope that seemed doomed when Queen Merecot of Semo invaded Aratay. Now, with the powerful Queen Naelin ruling by her side and their enemies vanquished, Daleina believes that her dream of ushering in a new era can be realized…until Naelin’s children are kidnapped, and chaos threatens to overtake all of Renthia. “I think I actually squeaked when I saw the cover. Kind of like an excited mouse. “Eeeeeeee, I love it!! !” There also may have been some happy dancing. The moment you first see the cover of your book is the moment that the book feels truly real. It’s like seeing a bride when she first steps onto the aisle, or a baby when he or she first opens his or her eyes. You think, “Hey, you’re here. This is really happening!” And if that cover feels exactly right, then the moment is all the sweeter. 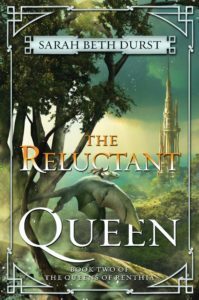 All three covers that Stephan Martinere created for my series The Queens of Renthia feel exactly right. I absolutely love them. The colors, the light, the scale… all of it is so wonderful and so beautiful! I also love how the progression of covers reflects the widening of the scope of the story. 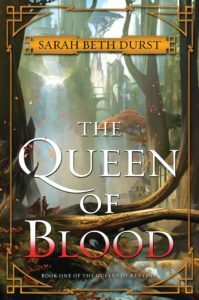 The cover of The Queen of Blood shows Daleina and Ven as tiny figures against the backdrop of the massive trees of Aratay. They’re looking up at the heart of Aratay, the capital city nestled halfway up the trunks of the trees. In The Reluctant Queen, the story widens to include all of Aratay, and we see Daleina flying on the back of one of the air spirits (who, by the way, looks EXACTLY as I pictured). And now in The Queen of Sorrow, the story widens even further as we journey with the characters beyond their home to other lands in Renthia. In glorious blues and purples, the mountains of Semo rise above Naelin and Ven, and we see Queen Merecot’s castle perched on a peak, lit by the sun. THE QUEEN OF SORROW goes on-sale 5/15/18. You can pre-order and read a full synopsis of the book here. And be sure to let us know what you think of the cover in the comments!